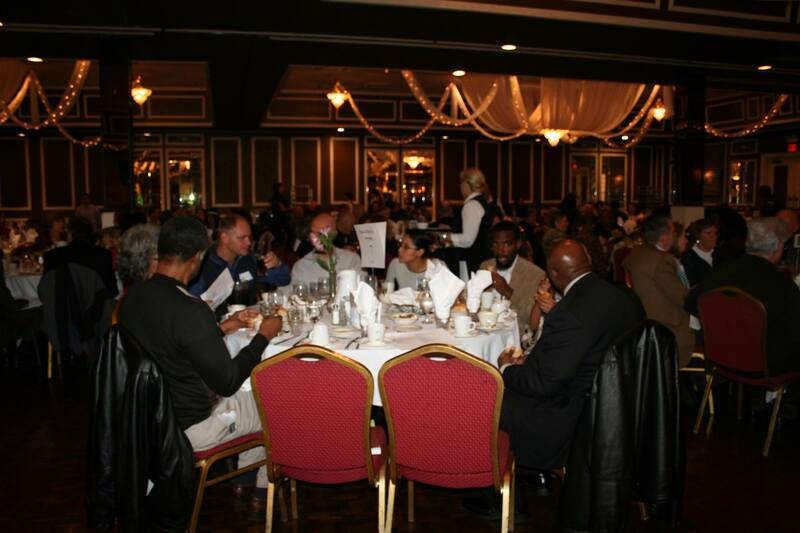 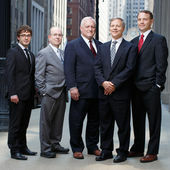 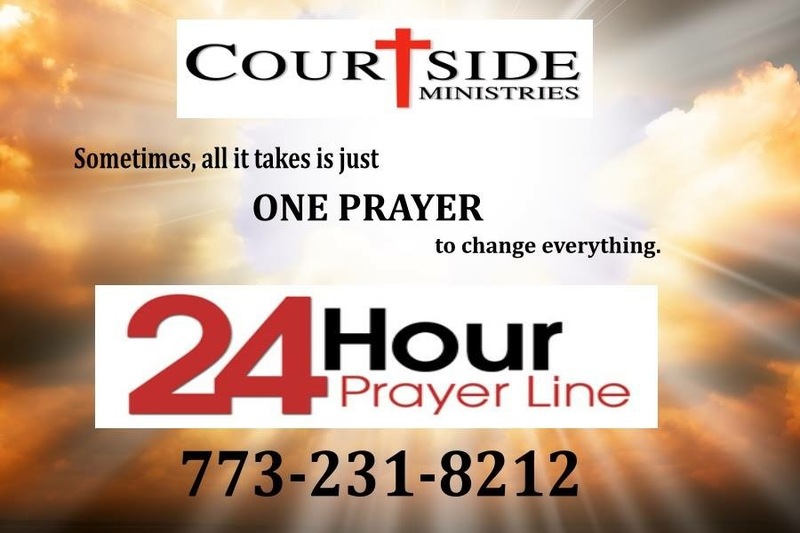 DECATUR — The American legal system has many judges, but none can claim the 2,000 year history and tantalizing offer of forgiveness promised by the supreme trier of facts represented by Marie Sheets, a Team Leader for Courtside Ministries. 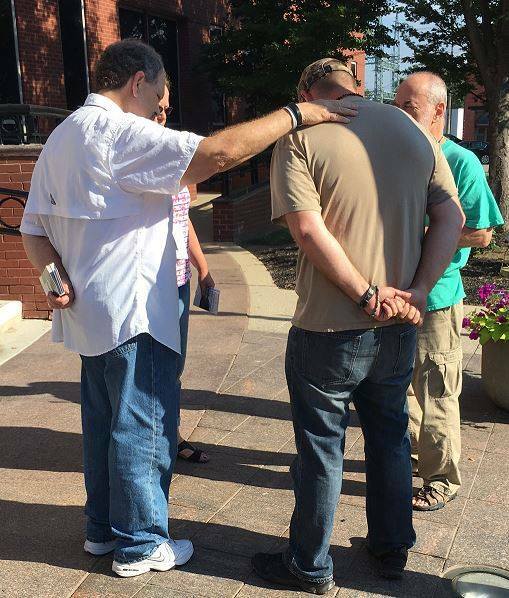 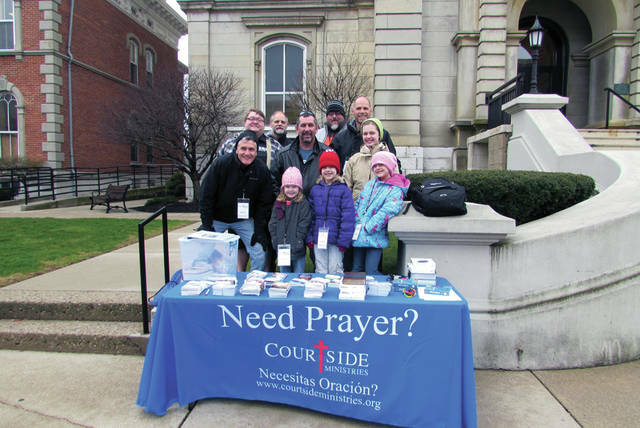 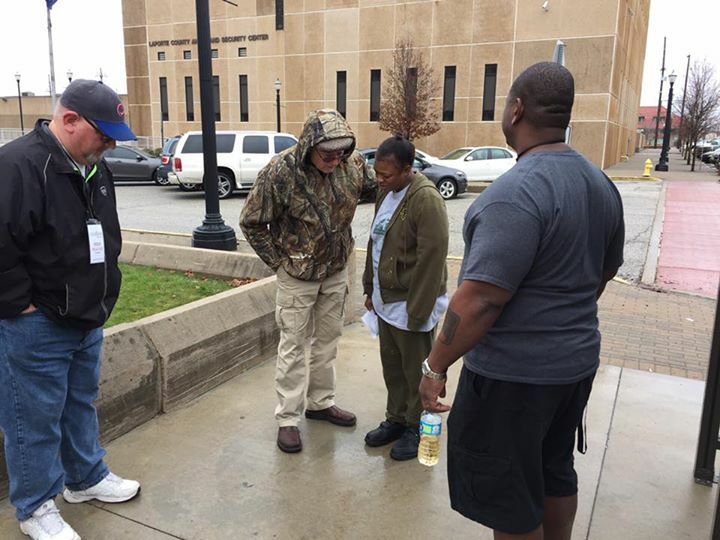 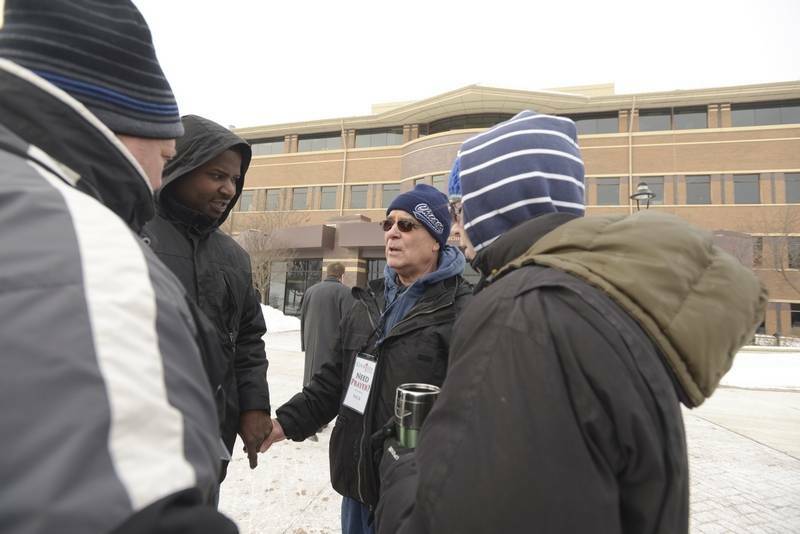 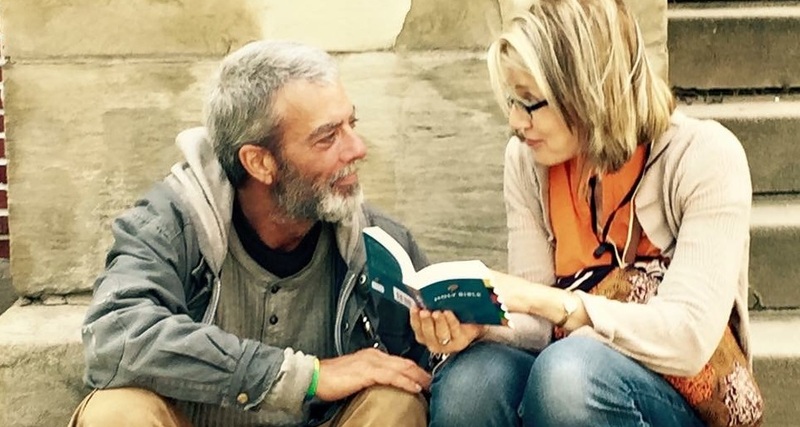 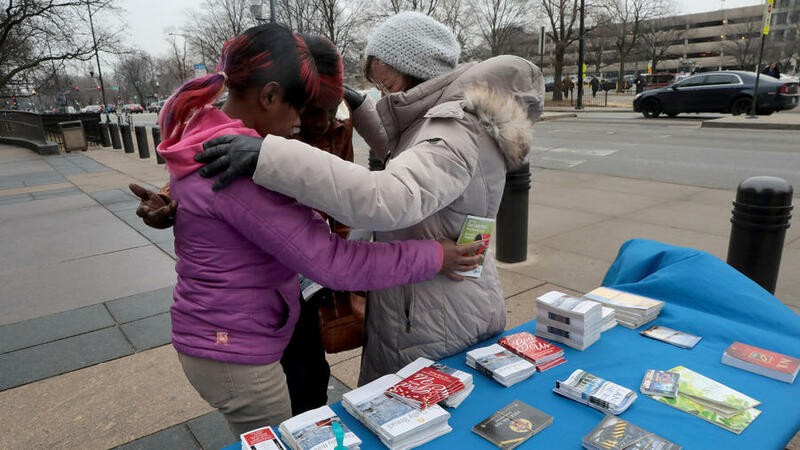 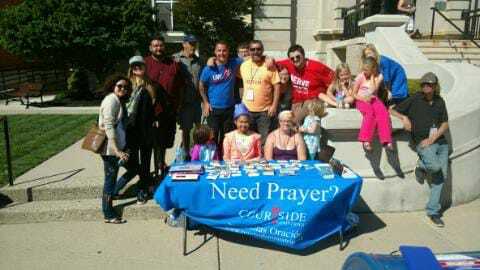 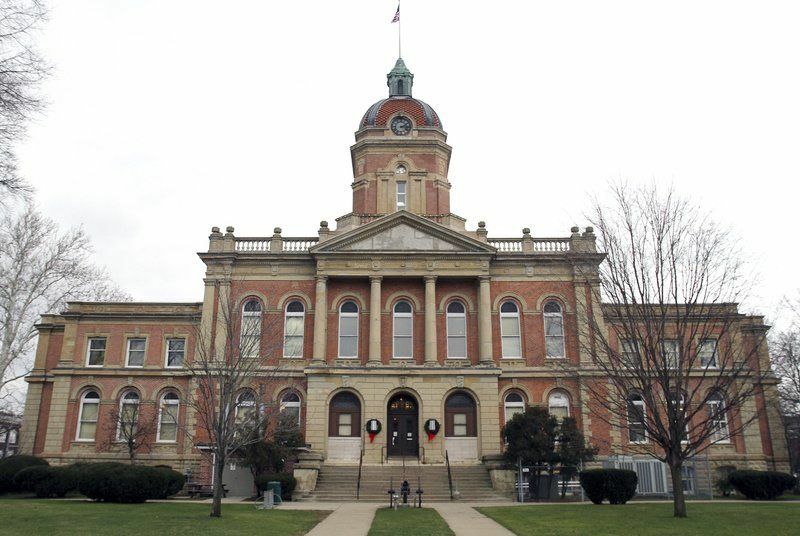 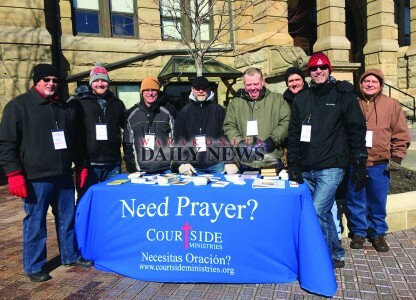 Sheets and her band of Christian volunteers offer easy access for those seeking help with difficult cases: most Tuesday mornings will find the Courtside Ministries evangelists standing outside the Macon County Courthouse ready to pray and share an encouraging word with all who need it. 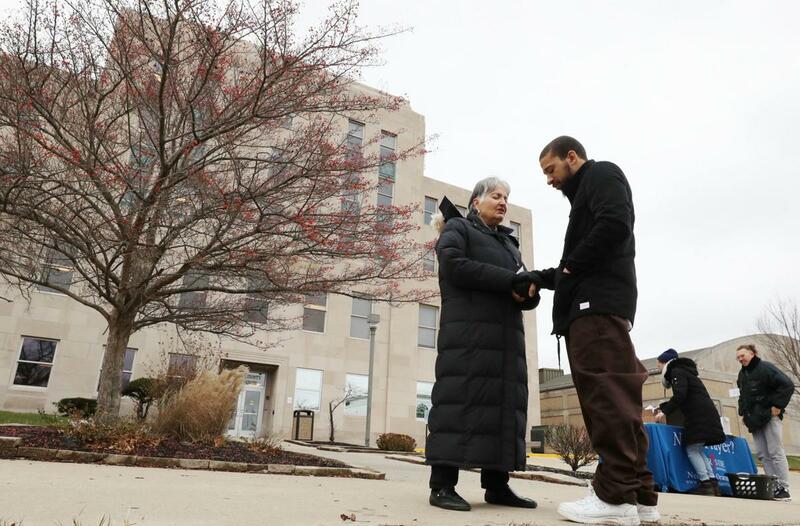 Nerves got the best of Lu Anne Sisk on Monday as she made her way into the Scott County Courthouse. 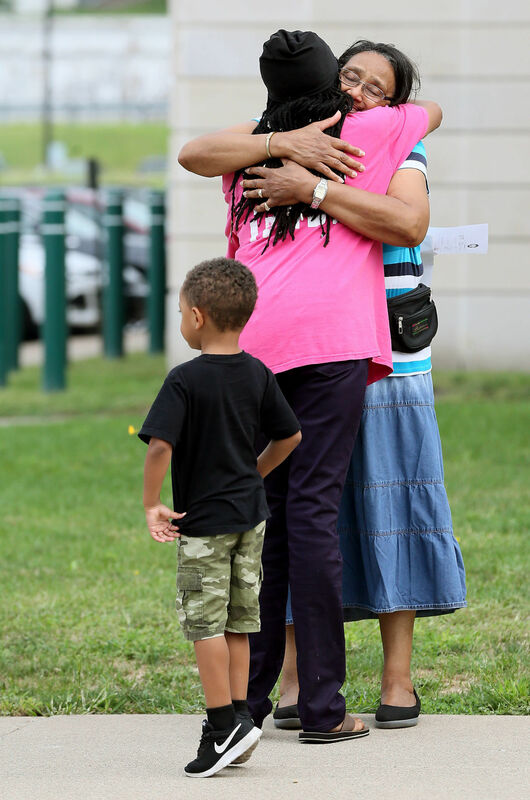 She was scared and sweating until a group of smiling strangers greeted her near the entrance to the building at 400 W. 4th St., Davenport. 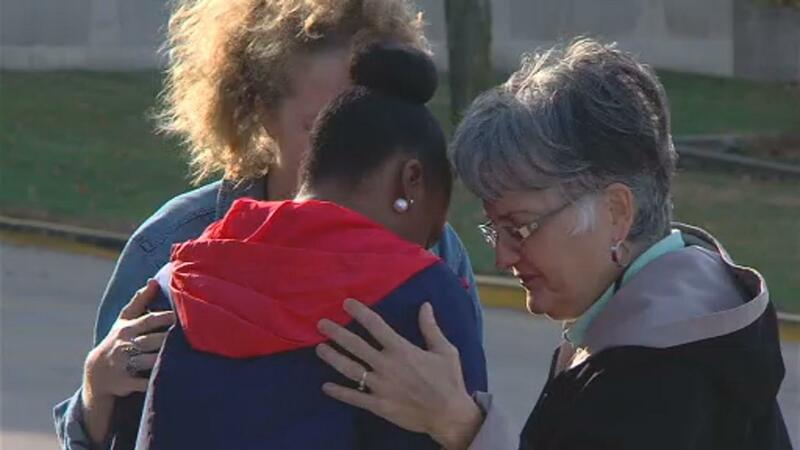 They said a simple prayer for her, and a refreshed Sisk continued through the glass doors to handle a traffic-related issue. 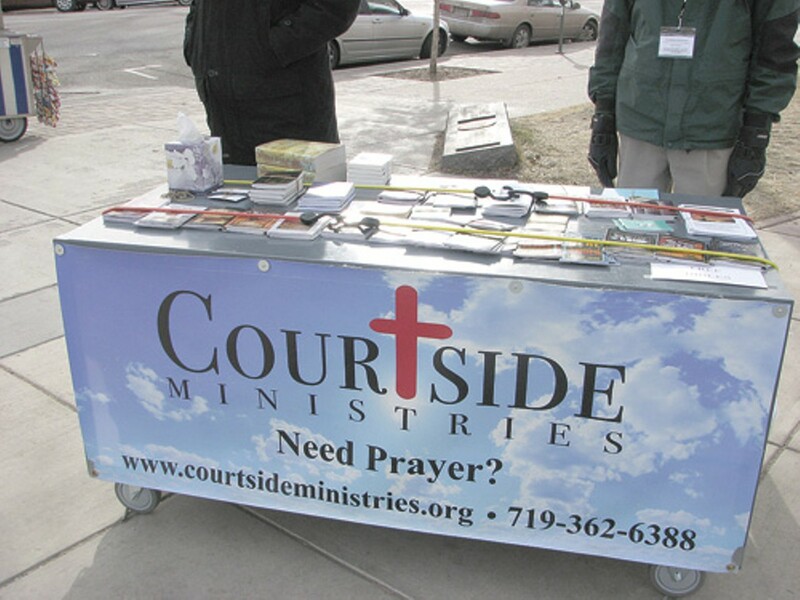 It’s hard to say it smells like Christ outside the El Paso county court complex. 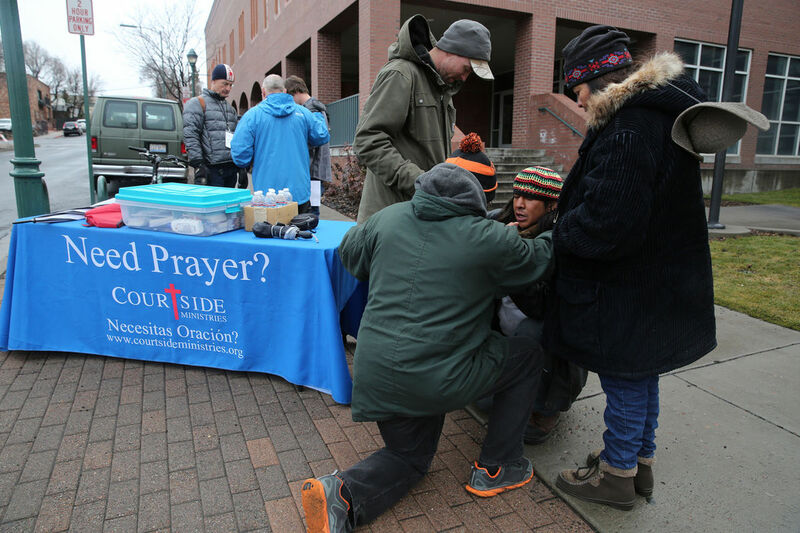 It smells, in fact, like hot dogs, thanks to competing lunch carts on this warm March morning.